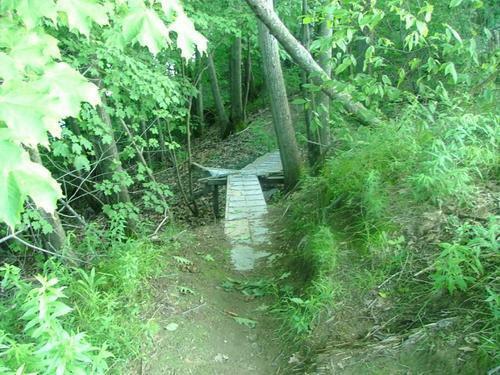 This trail links to the Westbrook powerlines trail and goes through can go through Windham up to the fire tower. Review: narrow flat with downhill not alot of uphill climbs, gets really close to the river at times makes it interesting, could take a swim if your not carfull, has a good amount of bridges going over smaller rivers that connect to the main one. I will say from expeience watch youre speed at times if its your first time going threw this trail some bridges and such can sneak up on you pretty quick. Prides Corner / Corsetti's Trail MTB Trail 0.00 out of 5 based on 1 ratings. 1 user reviews.